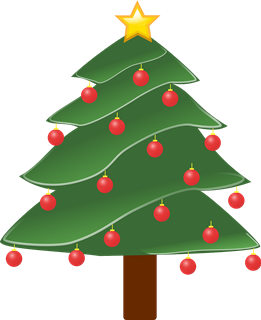 Local carers are invited to a festive Christmas Lunch on Tuesday 11 December 2018 from 12 noon to 2 pm. 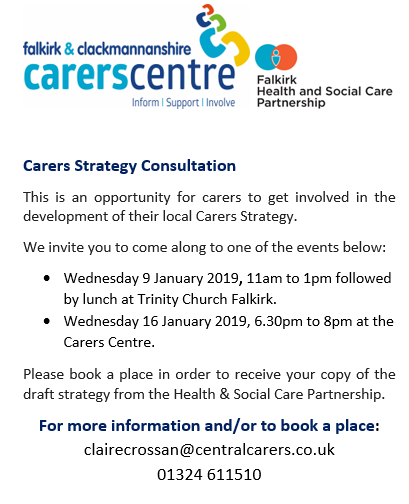 The Carers Christmas Lunch brings carers together to relax, have a break from their caring role, meet and chat with other carers and have some festive fun. 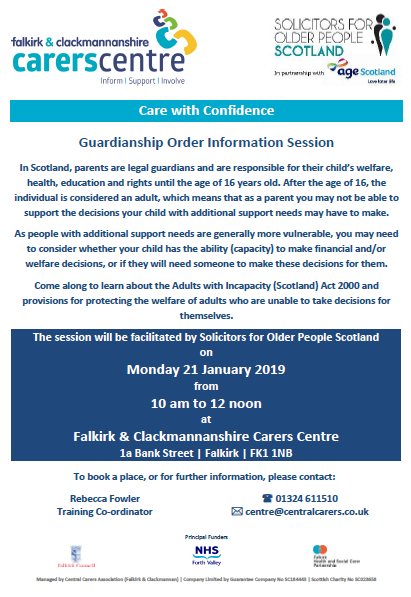 Lunches will be held at the Grange Manor Hotel in Falkirk FK3 8XJ and Dunmar House in Alloa FK10 2EN. For further details and to book a place, please download a Christmas Lunch flyer below. Places are limited and require to be booked in advance. 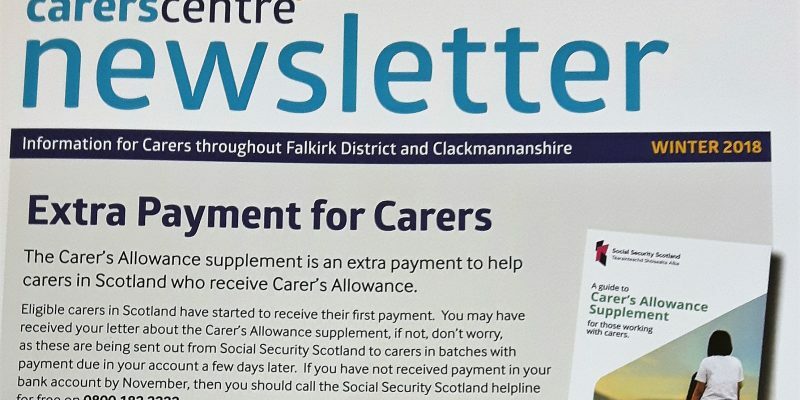 The Carers Centre newsletter, Winter edition, has been sent out to carers and organisations who are on our mailing list to receive information by post or email. You can also view or download the newsletter by clicking here. 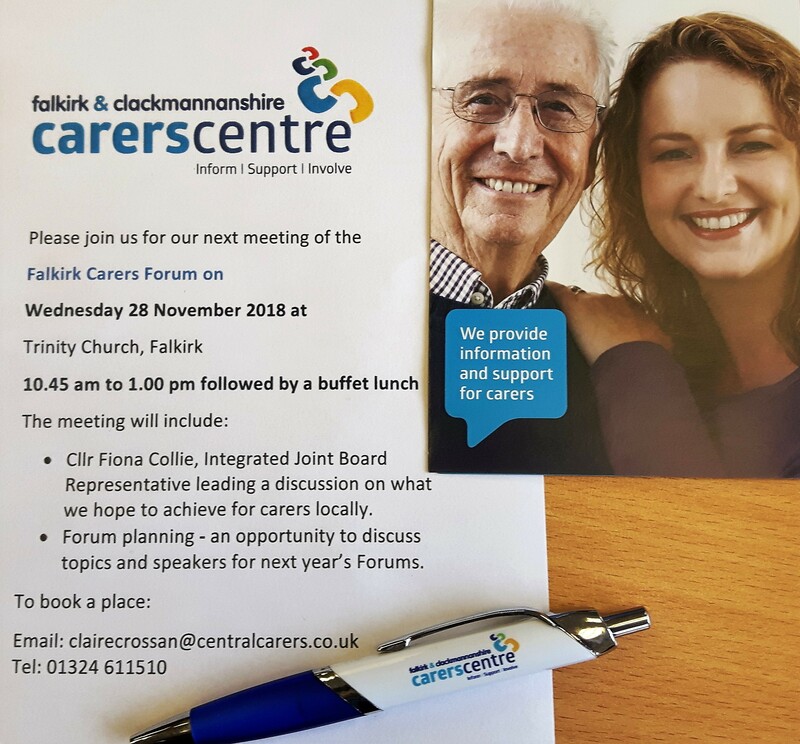 This edition contains details of events coming up soon including Carers Rights Day on 30 November, Carers Festive Christmas Lunches on 11 December, Carers Forum meetings, Care with Confidence Sessions and a range of other activities for carers. 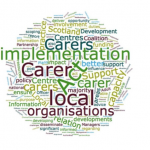 Find out more about the Carers Act and Adult Carer Support Plans. We hope you enjoy the Winter Newsletter and look forward to seeing you at some of our forthcoming events!